Joe Kubert’s lasting legacy simply cannot be overstated; as an artist, an editor and an educator, Kubert excelled at everything he set his mind too. His work continues to serve as an everlasting inspiration to comic fans and professionals alike. 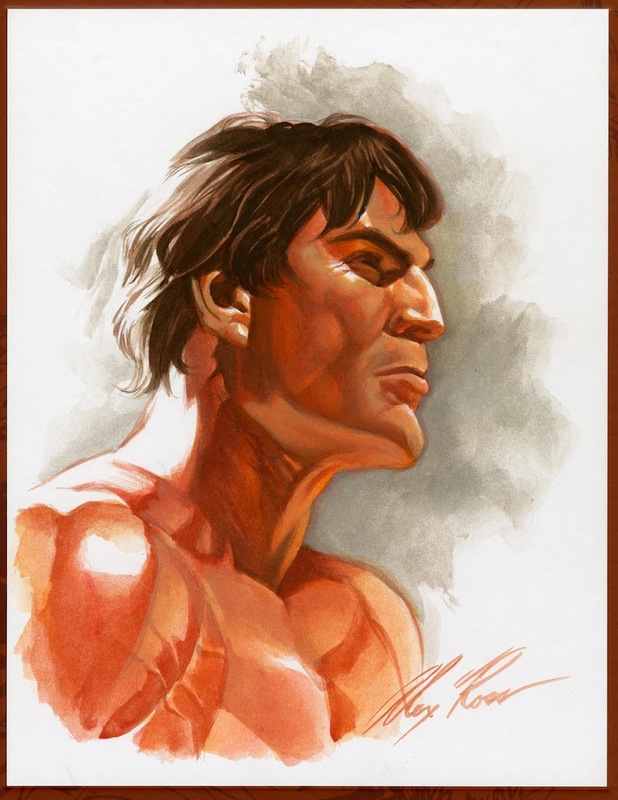 This August IDW Publishing is pleased to help celebrate this legacy alongside Edgar Rice Burroughs, Inc., Heritage Auctions and The Joe Kubert School by auctioning off 22 original illustrations by 23 artists, each hand drawn on special blank covers on Joe Kubert’s Tarzan of the Apes Artist’s Edition. All proceeds from the sale of these very special books will go directly to The Joe Kubert Scholarship Fund. To date, IDW has produced more than three-dozen Artist’s Editions, four of them winning the prestigious Eisner Award. Joe Kubert has been the subject of three AE books to date, with another coming this fall. Tarzan of the Apes was the first of Kubert’s Artist’s Editions, and a number of these books were printed with special blank covers that were intended to be remarqued by Kubert; sadly, his passing came before he was able to work on them. Now, a wealth of great artists have stepped forward to pay tribute to one of comics’ true legends, and also to help inaugurate the Joe Kubert Scholarship Fund. Original covers have graciously been created by Neal Adams, Sergio Aragones, Lee Bermejo, Amanda Conner, Geoff Darrow, Jan Duursema and Tom Mandrake, Dave Gibbons, Mike Kaluta.Adam Kubert, Andy Kubert, Jim Lee, Mike Mignola, Kevin Nowlan, Alex Ross, Mark Schultz,Walter Simonson, Jeff Smith, Bil Stout, Tim Truman, Rick Veitch, Lee Weeks, and Tom Yeates! "On behalf of the students and faculty of the Kubert School,” said Pete Carlsson, Senior Art Director, Tell-A-Graphics, "I want to thank everyone who generously gave their time and talents to create the Joe Kubert Scholarship Fund. Joe would be deeply moved by the efforts of so many people working toward something he felt so strongly about: helping the students."